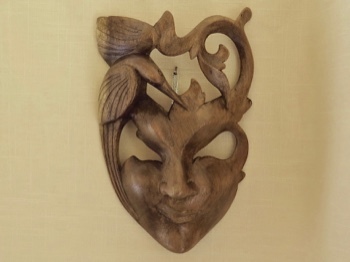 This serene mask of raintree wood is handcarved with a hummingbird and vine detail. 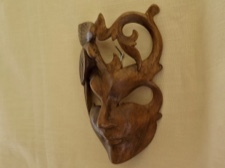 Every Bali mask is a one of a kind creation designed to accentuate the grain of the piece of wood being carved. 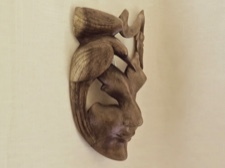 The subtle detail of the face depicts exceptional beauty and grace. Definitely a labor of love. 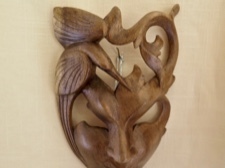 Artfully handcarved in Bali, 10 inches long and 7 inches wide.